National Testing Agency (NTA) would now conduct some of the prestigious National level examinations like NET, NEET, JEE (Mains) and CMAT. On 7 July 2018 Union Minister PrakashJavdekar officially announced new format of the examination. Javdekar announced, from this year onward examination would be conducted twice in the year. Once in January and second time in April. The Test would be conducted by computer-based test and would be held over a span of four-five days, and students will get the chance to choose exam dates as per their ease. 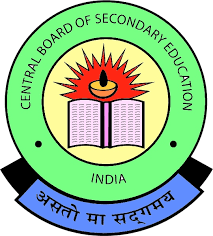 The syllabus, Eligibility Criteria, Pattern, Question format, language and fees of the examination is the same as per previous year examination. The timetable of the examination will be uploaded by Authority on the official website of the National Testing Agency. 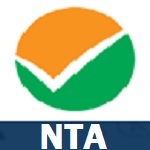 NTA will also provide free test paper (Mock test) of NTA JEE mains from 2019 on the official website of NTA. JEE Advance will be conducted continuously by IIT as per last year. For the convenience of the rural students, NTA would locate the centres at sub-district /district level. JEE Main 2019 January Examination would be conducted from January 6 to January 20 in 8 different settings. The online applications for January Examination for JEE Main 2019 would begin from September 1st week.R results of examination would be released in the 1st week of February. JEE Main 2019 January Examination would be conducted from April 7 to April 21, 2019, in 8 different settings. The online applications for April Examination for JEE Main 2019 would begin from February 2nd week. Results of examination would be released in the 1st week of May 2019. Note: JEE Main Application Correction 2019 for the February attempt will be available in September 2018. Note: JEE Main Application Correction 2019 for the May attempt will be available in February 2019.